You are browsing the archive for School of Data. The report uses semi-structured and unstructured in-depth interviews with media development experts and experienced trainers operating inside and outside Tanzania. It draws on interviews with reporters and editors from a cross-section of media houses: FM stations, print and online newspapers and TV stations produced in both Swahili and English languages. Our research was part of a wider programme of engagement with data users in Tanzania which saw the School of Data creating a local government data curriculum and providing training to stakeholders in the Tanzanian capital, Dodoma. Separately the Open Knowledge International product team built a data collection and data cleaning workflow aimed at improving the quality of geolocation data on schools in Tanzania. For further details and findings including recommendations for data trainers operating in Tanzania, download the full report. Introducing the 2018 Class of School of Data Fellows! This blog has been reposted from the School of Data blog. School of Data is delighted to announce its sixth class of fellows. From June until January 2019, the programme will allow fellows to deepen their data literacy skills and work alongside local partner organisations to enhance the data literacy network local to them. We were really pleased to receive a large number of applications and would like to both congratulate and wish all our new fellows the very best for their fellowship! Pamela Gonzales is passionate about data visualization and bridging the digital divide for women. She is the co-founder of Bolivia Tech Hub, a collaborative space for tech projects to contribute to the prosperity of an innovative ecosystem in Bolivia. Pamela is also the Regional Ambassador for Technovation, a San Francisco based program that equips girls with the skills needed to solve real-world problems through technology. She holds a Bachelor of Science degree in Computer Science from Universidad Mayor de San Andres. Odanga Madung is the co-founder and Data Science Lead at Odipo Dev, a data science and analytics firm operating out of Nairobi Kenya that delivers services to various bluechip companies and NGOs across the country. Odanga’s deepest interest is at the intersection between data and culture and it is through this that Odipo Dev has been able to carry out data analysis and visualisation on various activities for a wide range of clients and occurrences in Kenya and the world.Some of his work has been featured in publications such as Adweek, Yahoo, BBC, CNBC, Quartz, and Daily Nation, just to mention a few. He will be working on Open Contracting in Kenya during the period of his fellowship. You can follow him on Twitter @Odangaring and Odipo Dev @OdipoDev for more information. Nzumi Malendeja is a Research Associate at an Independent Evaluation and Research Cell of BRAC International in Tanzania, where he leads larger-scale research projects in education, agriculture, and health. Here, he has developed mobile-based data collection platforms (ODK Collect and SurveyCTO), which replaced the traditional paper-based methods. Before this, Mr. Nzumi worked as a Field Monitor and Research Assistant at SoChaGlobal and Maarifa ni Ufunguo respectively, both in education and construction sector transparency projects. Mr. Nzumi has attended a 4 week Summer School Training on Research Methods and Teaching Skills, hosted by Hamburg University of Applied Sciences in Germany, funded by the Germany Academic Exchange Services (DAAD). Presently, Mr. Nzumi is working on his thesis towards the fulfillment of the Master of Research and Public Policy at the University of Dar es Salaam. Sofia Montenegro A fan of nature and the teachings it hides, Sofia has dedicated herself to research in the social sciences. She studied Political Science at the Universidad Francisco Marroquin and Public Opinion and Political Behavior through a Masters degree at the University of Essex, where she deepened her interest in data methodologies in social research. Sofia is interested in academia only as long as it drives political action. She looks to help other women to be involved freely in data practice and political spaces. Sofia is also interested in network analysis, studying corruption as a social phenomenon, following electoral processes and learning research methods. Elias Mwakilama is a lecturer at University of Malawi-Chancellor College and Coordinator of Research, Seminar and Consultancies, and Diploma in Statistics programme in the Mathematical Sciences Department, Elias Mwakilama is a computational and applied mathematician in the field of operations research. He lectures and supervises undergraduate students in Mathematics & Statistics fields. His research interests are in working with optimisation models using mathematical statistics techniques integrated with computing skills to offer solutions of industrial related problems in theoretical and practical arena. Elias holds a first upper class MSc degree in Mathematical Sciences from University of Malawi. His website is here. During his fellowship, he hopes to support the “public procurement open contract platform” for Civil Society Organisations (CSOs) in Malawi with Hivos. Ben Hur Pintor is an open-source and open-data advocate from the Philippines​ who believes in democratising not only data, but ​also ​the means of utilising and analysing data.​ He’s a geospatial generalist and software developer who’s​ worked on projects related to renewable energy, blue carbon ecosystems, and participatory disaster risk mapping and assessment. ​Ben is currently pursuing an MS Geomatics Engineering degree at the University of the Philippines. As part of his advocacy for Free and Open Source Software (FOSS), he’s a co-organiser and active participant of FOSS4G Philippines and MaptimeDiliman — avenues for sharing open​ ​source mapping technologies with the community. Hani Rosidaini is passionate about how technology can be adopted and applied for people’s needs. She combines her technical skills, especially in information systems and data science, with social and business knowledge, to help companies and organisations in Indonesia, Australia, and Japan. This includes her own ventures. Highly relevant to this year fellowship’s focus of data procurement, Hani has experience as a data specialist for public policy in the Indonesia Presidential Office, where she has analysed the national integrated data platform, data.go.id, contributed to data-driven policy making, advocated ministries and agencies, as well as engaged with civic and local communities. Comments Off on Introducing the 2018 Class of School of Data Fellows! School of Data is committed to being inclusive in its recruitment practices. Inclusiveness means excluding no one because of race, age, religion, cultural appearance, sexual orientation, ethnicity or gender. We proactively seek to recruit individuals who differ from one another in these characteristics, in the belief that diversity enriches all that we do. This blog post was written by the members of the Sinar project in Malaysia In Malaysia, Sinar Project with the support of Open Knowledge International organised a one-day data expedition based on the guide from School of Data to search for data related to government provision of health and education services. This brought together a group of people with diverse skills to formulate questions of public interest. The data sourced would be used for analysis and visualisation in order to provide answers. A data expedition is a quest to explore uncharted areas of data and report on those findings. 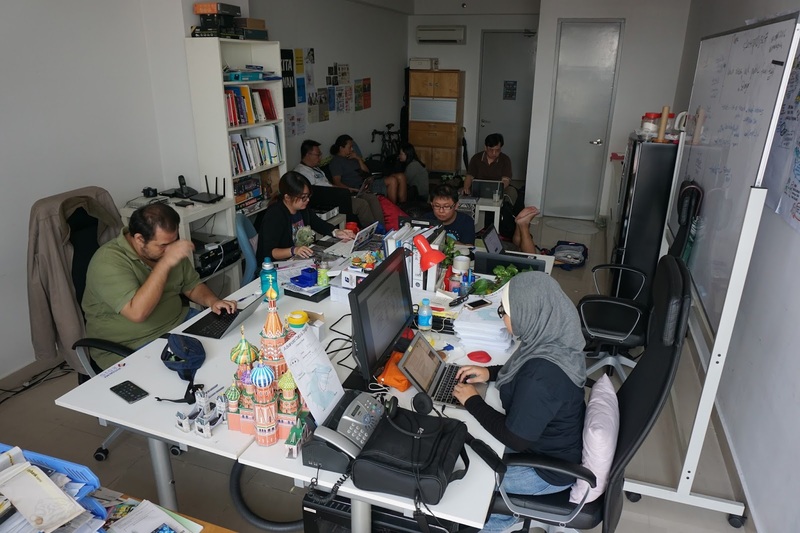 The participants with different skillsets gathered throughout the day at the Sinar Project office. Together they explored data relating to schools and clinics to see what data and analysis methods are available to gain insights on the public service provision for education and health. We used the guides and outlines for the data expedition from School of Data website. The role playing guides worked as a great ice breaker. 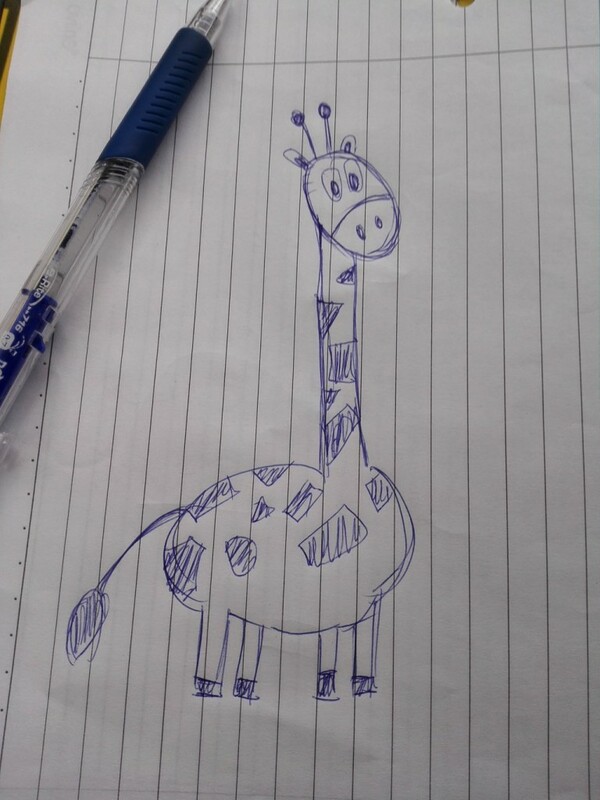 There was healthy competition on who could draw the best giraffes for those wanting to prove their mettle as a designer for the team. Deciding what to explore, education or health? The storyteller in the team, who was a professional journalist started out with a few questions to explore. Are there villages or towns which are far away from schools? Are there villages or towns which are far away from clinics and hospitals? What is the population density and provision of clinics and schools? The scouts then went on a preliminary exploration for whether this data exists. 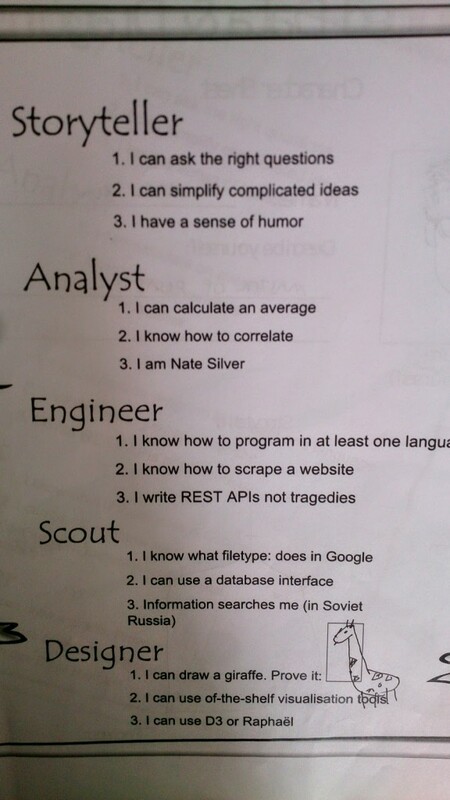 The Scouts, with the aid of the rest of the team, looked for data that could answer the questions. They found a lot of usable data from the Malaysian government open data portal data.gov.my. This data included lists of all public schools and clinics with addresses, as well as numbers of teachers for each district. It was decided by the team that given the time limitation, the focus would be to answer the questions on education data. Another priority was to find data relating to class sizes to see if schools are overcrowded or not. Below you can see the data that the team found. Sinar Project had some budgets as open data, at state and federal levels that could be used as additional reference point. These were created as part of the Open Spending project. The team opted to focus on the available datasets to answer questions about education provision, by first converting all school addresses into geocoding, and then looking at joining up data to find out the relationship between enrollments, school and teacher ratios. To join up data; the different data sets such as teacher numbers and schools, VLOOKUP function in Excel was used to join by School code. UseGeoJSON of Schools data and PBT Boundary loaded into QGIS; and use the Vector > Geo-processing > Intersect. A post from Stack Exchange suggests it might be better to use Vector > Spatial Query > Spatial Query option. It was discovered that additional data was needed to provide useful information on the quality of education. There was not enough demographic data found to check against the number of schools in a particular district. Teacher to student ratio was also not a good indicator of problems reported in the news. The teacher to enrollment ratios was generally very low with a mean of 13 and median of 14. What was needed, was ratio by subject teachers, class size or against the population of eligible children of each area, to provide better insights. Automatically calculating the distance from points was also considered and matched up with whether there are school bus operators in the area. This was discussed because the distance from schools may not be relevant for rural areas, where there were not enough children to warrant a school within the distance policy. A tool to check distance from a point to the nearest school could be built with the data made available. This could be useful for civil society to use data as evidence to prove that distance was too far or transport not provided for some communities. Demographic data was found for local councils; this could be used by researchers using local council boundary data on whether there were enough schools against the population of local councils. Interestingly in Malaysia, education is under Federal government and despite having state and local education departments, the administrative boundaries do not match up with local council boundaries or electoral boundaries. This is a planning coordination challenge for policy makers. Administrative local council boundary data was made available as open data thanks to the efforts of another civil society group Tindak Malaysia, which scanned and digitized the electoral and administrative boundaries manually. 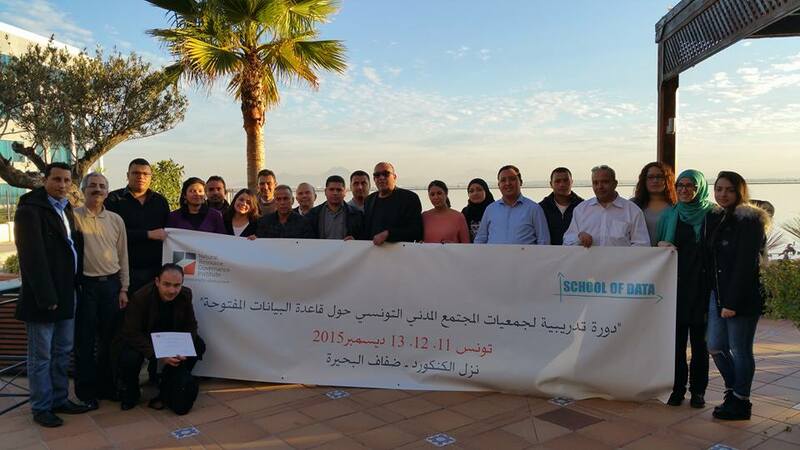 NRGI hosted the event #DataMuseTunisia in collaboration with Data Aurora and School of Data senior fellow Ali Rebaie on the 11th of December 2015 in beautiful Tunis where a group of CSO’s from different NGOs met in the Burge Du Lac Hotel to learn how to craft their datasets and share their stories through creative visuals. 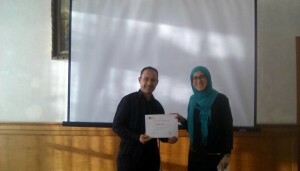 Bahia Halawi, one of the leading women data journalism practitioners in the MENA region and the co-founder at Data Aurora, led this workshop for 3 days. This event featured a group of professionals from different CSO’s. NRGI has been working closely with School of Data for the sake of driving economic development & transparency through data in the extractive industry. Earlier this year NRGI did similar events in Washington, Istanbul, United Kingdom, Ghana, Tanzania, Uganda and many others. The experience was very unique and the participants were very excited to use the open source tools and follow the data pipeline to end up with interactive stories. The first day started with an introduction to the world of data driven journalism and storytelling. Later on, participants checked out some of the most interesting stories worldwide before working with different layers of the data pipeline. The technical part challenged the participants to search for data related to their work and then scraping it using google spreadsheets, web extensions and scrapers to automate the data extraction phase. After that, each of the participants used google refine to filter and clean the data sets and then remove redundancies ending up with useable data formats. The datasets were varied and some of them were placed on interactive maps through CartoDB while some of the participants used datawrapper to interactively visualize them in charts. The workshop also exposed participants to Tabula, empowering them with the ability of transforming documents from pdfs to excel. Delegates also discussed some of the challenges each of them faces at different locations in Tunisia. It was very interesting to see participants share their ideas on how to approach different datasets and how to feed this into an official open data portal that can carry all these datasets together. One of the participants, Aymen Latrach, discussed the problems his team faces when it comes to data transparency about extractives in Tataouine. Other CSO’s like Manel Ben Achour who is a Project Coordinator at I WATCH Organization came already from a technical backgrounds and they were very happy to make use of new tools and techniques while working with their data. Most of the delegates didn’t come from technical backgrounds however and this was the real challenge. Some of the tools, even when they do not require any coding, mandate the knowledge about some technical terms or ideas. Thus, each phase in the data pipeline started with a theoretical explanatory session to familiarize delegates with the technical concepts that are to be covered. After that, Bahia had to demonstrate the steps and go around the delegates facing any problems to assist them in keeping up with the rest of the group. It was a little bit messy at the beginning but soon the participants got used to it and started trying out the tools on their own. In reality, trial and error is very crucial to developing the data journalism skills. These skills can never be attained without practice. Another important finding, according to Bahia who discussed the importance of the learnt skills to the delegate’s community and workplace, is that each of them had his/her own vision about its use. The fact that the CSO’s had a very good work experience allowed them to have unique visions about the deployment of what they have learnt at their workplaces. This, along with the strong belief in the change open data portals can drive in their country are the only triggers to learning more tools and skills and bringing out better visualizations and stories that impact people around. The data journalism community 3 years ago was still at a very embryonic stage with few practitioners and data initiatives taking place in Africa and Asia. Today, with enthusiastic practitioners like Bahia Halawi and Ali Rebaie, and a community like School of Data spreading the love of data and the spirit of change it can make, the data journalism field has very promising expectations. The need for more initiatives and meet ups to develop the skills of CSOs in the extractive industries as well as other fields remains a priority for reaching out for true transparency in every single domain. Thank you, You can connect with Bahia on Twitter @HalawiBahia. The mission of Open Knowledge International is to open up all essential public interest information and see it utilized to create insight that drives change. To this end we work to create a global movement for open knowledge, supporting a network of leaders and local groups around the world; we facilitate coordination and knowledge sharing within the movement; we build collaboration with other change-making organisations both within our space and outside; and, finally, we prototype and provide a home for pioneering products. A decade after its foundation, Open Knowledge International is ready for its next phase of development. We started as an organisation that led the quest for the opening up of existing data sets – and in today’s world most of the big data portals run on CKAN, an open source software product developed first by us. Today, it is not only about opening up of data; it is making sure that this data is usable, useful and – most importantly – used, to improve people’s lives. Our current projects (School of Data, OpenSpending, OpenTrials, and many more) all aim towards giving people access to data, the knowledge to understand it, and the power to use it in our everyday lives. The School of Data is growing in size and scope, and to support this project – alongside our partners – we are looking for an enthusiastic Technical Trainer (flexible location, part time). School of Data is a network of data literacy practitioners, both organisations and individuals, implementing training and other data literacy activities in their respective countries and regions. 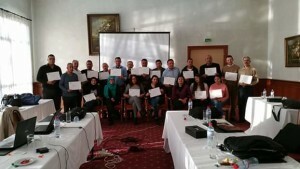 Members of the School of Data work to empower civil society organizations (CSOs), journalists, governments and citizens with the skills they need to use data effectively in their efforts to create better, more equitable and more sustainable societies. Over the past four years, School of Data has succeeded in developing and sustaining a thriving and active network of data literacy practitioners in partnership with our implementing partners across Europe, Latin America, Asia and Africa. Our local implementing partners are Social TIC, Code for Africa, Metamorphosis, and several Open Knowledge chapters around the world. Together, we have produced dozens of lessons and hands-on tutorials on how to work with data published online, benefitting thousands of people around the world. Over 4500 people have attended our tailored training events, and our network has mentored dozens of organisations to become tech savvy and data driven. Our methodologies and approach for delivering hands-on data training and data literacy skills – such as the data expedition – have now been replicated in various formats by organisations around the world. One of our flagship initiatives, the School of Data Fellowship Programme, was first piloted in 2013 and has now successfully supported 26 fellows in 25 countries to provide long-term data support to CSOs in their communities. School of Data coordination team members are also consistently invited to give support locally to fellows in their projects and organisations that want to become more data-savvy. In order to give fellows a solid point of reference in terms of content development and training resources, and also to have a point person to give capacity building support for our members and partners around the world, School of Data is now hiring an outstanding trainer/consultant who’s familiar with all the steps of the Data Pipeline and School of Data’s innovative training methodology to be the all-things-content-and-training for the School of Data network. Curriculum development: work closely with the Programme Manager & Coordination team to steer School of Data’s curriculum development, updating and refreshing our resources as novel techniques and tools arise. We strive for diversity in our team and encourage applicants from the Global South and from minorities. Six months to one year: from November 2015 (as soon as possible) to April 2016, with the possibility to extend until October 2016 and beyond, at 10-12 days per month (8 hours/day). Interested? Then send us a motivational letter and a one page CV via https://okfn.org/about/jobs/. Please indicate your current country of residence, as well as your salary expectations (in GBP) and your earliest availability. Early application is encouraged, as we are looking to fill the positions as soon as possible. These vacancies will close when we find a suitable candidate. Interviews will be conducted on a rolling basis and may be requested on short notice. If you have any questions, please direct them to jobs [at] okfn.org. Playing ‘Where is Michael?’ was always a fun game. It also means that when we do meet in person, the time is precious. We travelled together across the world – and wow, did Michael travel. He was always up for spontaneous trips (sometimes with as little as twelve hours notice before intercontinental travel), for throwing himself into getting to know new communities, to spend nights dancing even with early starts due the next day. Colourful both in personality and turnout, we will always remember Michael in his shiny cape at Mozfest when we ran our first ever data expedition – our Data Diva. People genuinely never forgot Michael – he was charismatic and commanded people’s attention. He managed to understand data and people, and he could inspire every single person he met, no matter how many were in the workshop. He was a true polymath, too – he went from medical doctor, to academic, to data trainer/coder, to a journalist – and all before the age of 35. To us, Michael was intelligent, always ready to help people, honest (sometimes painfully), funny and, as all the best people are, wonderfully awkward. Most of all, he was generous with his time, humble, and thoughtful. He managed to foster an environment where anyone could ask him a question, or for help on building something – and he would answer without any fuss, and with contagious enthusiasm. 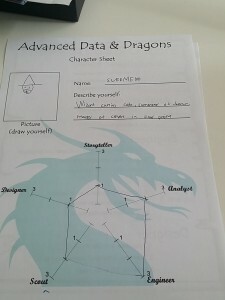 As a key architect of many of School of Data’s workshop styles, particularly Data Clinics and Data Expeditions, his legacy lives on through the character sheets he made just 10 minutes before the first expedition started, and in many of the materials the community use today When he moved on to derStandard.at, we were torn between happiness for him – that he was starting a new stage in his life – and sadness, that he was leaving our team. He was so excited about it though: finally, he would “stop talking about data journalism and start doing it.” As a leaving gift, we made him this video to show him how much we appreciated him. Watch it from YouTube.